This is our online line card, our list of products, manufacturers, dealers and distributors that Boulevard Supply carries and has created partnerships with. We will continue to search for manufacturers and distributors of high quality products around the USA. More partners in more locations means better variety, better shipping rates and faster delivery. Looking for something not listed? We know a guy that knows a guy! Give us a call and we may be able to hunt it down for you. Cortina Safety Products is one of our suppliers for traffic control products including delineators, traffic cones, barricades, channelizers, vertical panels and other traffic products. Glaro is a family owned business in the USA that manufactures our bellman carts, luggage carts, recyclable receptacles, lobby trash cans, portable railing systems and other attractive metal products. Hi-Way Safety is our preferred supplier for Type 1, Type 2 and Type 3 barricades along with multiple other MUTCD approved traffic products. JBC Safety is our preferred distributor for most of our traffic cones and delineators. We are a distributor of Lavi Beltrac stanchions, queuing systems and retail displays. We are a distributor of high quality Metcor 360 bank, hospitality and lobby furnishings. Metcor 360 is a California based company established in 1962. We are a distributor of MOVIT and MINIT plastic barricades and other MLR International products. Monsam is another American manufacturer that provides us with well constructed, high quality NSF certified hand sinks. Ozark River is also an American manufacturer of high quality NSF certified hand sinks. Port A Cool manufacturers their evaporative cooling fans for our southwest customers right here in the USA. Is another quality manufacturer of crowd control equipment that we work with. They have a very large inventory so most of their products ship out quick. SD2K is the US manufacturer and supplier for our attractive vertical valet sign panels. Tapco is an endless resource for our traffic and parking lot products. Just about anything to do with traffic, roads and signage is available. 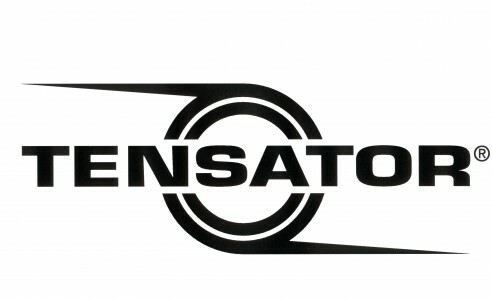 We are a distributor of Tensator high end stanchions and crowd control products. We are a distributor and supplier of Visiontron crowd control stanchions. Well constructed, made in the USA and come with an impressive 10 year warranty. Winco is our supplier of our value priced retractable stanchions plus they offer high quality commercial kitchen and restaurant equipment and products.